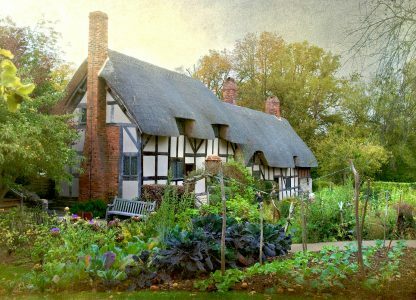 The Anne Hathaway Cottage in Warwickshire, England. Anne Hathaway was the wife of William Shakespeare and lived in the house as a child in the 16th century. The house is a public museum today. Credit: Special thanks to snaps11 for granting permission to use this photograph as a jigsaw puzzle. Visit snaps11's Flickr photostream. See all jigsaw puzzles based on snaps11's photographs.